British men in sandals are infamous for a supposed style crime. It’s the socks apparently. Style writers in newspaper magazines, especially the sundays, talk about style rules. Style rules can be broken by wearing “the wrong thing”. You and I know that such rules don’t exist, they are a contrivance. Our suspicion is that the motive is to generate money for the clothing industry. 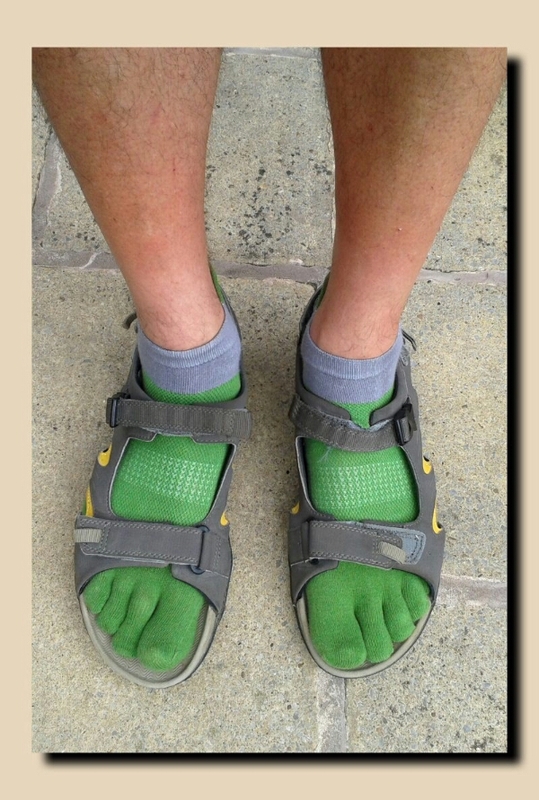 Question is, do toe socks keep our feet warm in the cool british climate without offending the fashion victims?